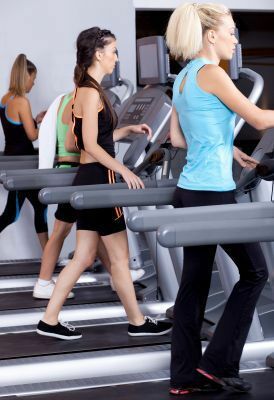 Get Back in Shape Safely and Effectively | Podiatry Associates, P.C. Returning to increased activity and exercise levels can do a number on your body. We all remember hitting the gym, going for a run, or attending that exercise class for the first time after a few months off. The next day and second day after the workout, we remember how incredibly sore we can be. There are many ways to avoid this as well as to get back in shape in a safe and healthy manner. First and foremost, do not do too much too soon. Though you may be feeling great, it is important to give your body and muscles time to adjust to the energy you feel mentally. Start with lower weights at the gym, a short run, and don't go full-force at that exercise class. Create a plan where you can slowly increase time and intensity with your activity of choice. If you do too much too soon you'll find yourself constantly too sore to keep up, and in addition, you are putting yourself at a much higher risk for injury. If you slowly increase your activity, you'll find you'll get to where you want to be even faster and with a much lower chance for injury. Lastly, many of us prefer one specific type of exercise. In order to decrease risk for injury, it is very important to cross-train at least once per week. For example, if you're a runner, take a Pilates class or hit the gym once per week instead, and by doing so, you'll create a better, healthier balance in your body. At Castle Pines Physical Therapy in Castle Pines, CO, we can get you into a workout plan that will help you achieve your goals. Call us today at 303-805-5156 to schedule an appointment in our Castle Pines location.